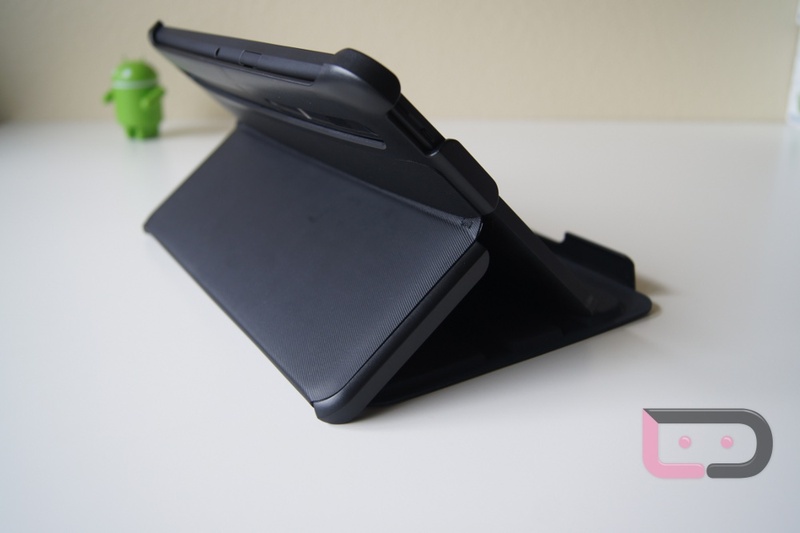 Continuing on with our XOOM accessory reviews before we finalize our actual device review, we’ve got the Protective Gel and the Portfolio cases to quickly talk about. Protection for your brand new $800 device using some sort of a case seems like a no-brainer, right? And since these are the only two Motorola-branded or approved ones available, they made our list. Are either of them worth their arguably-steep price tags? Let’s find out. I actually love the Portfolio case. It envelopes your XOOM to give it max protection, but can quickly unfold to provide you with a couple of different viewing angles for desk or lap placements. It comes in standard black, isn’t awful to look at, and for the most part gives you access to everything you would need from your device. 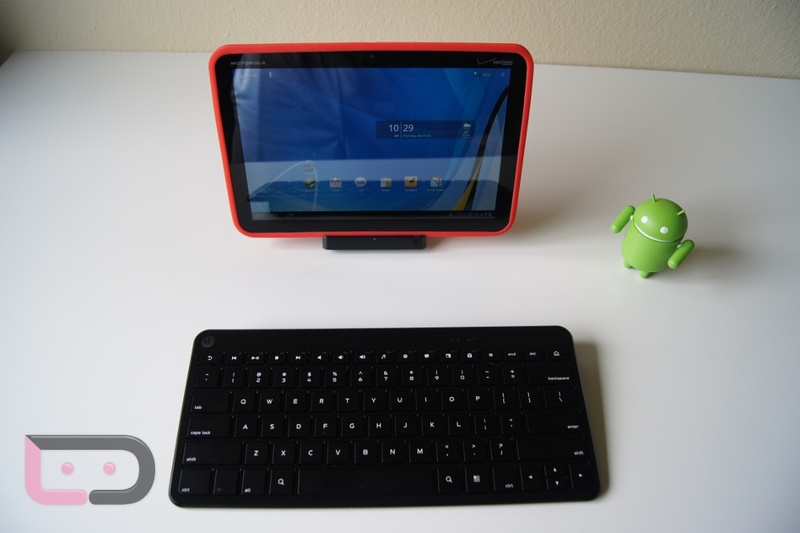 It also pairs up nicely with the Bluetooth keyboard we reviewed earlier. What do I mean “for the most part” though? Well, for whatever reason, Motorola decided to block the charging port when a XOOM is placed in and folded up. 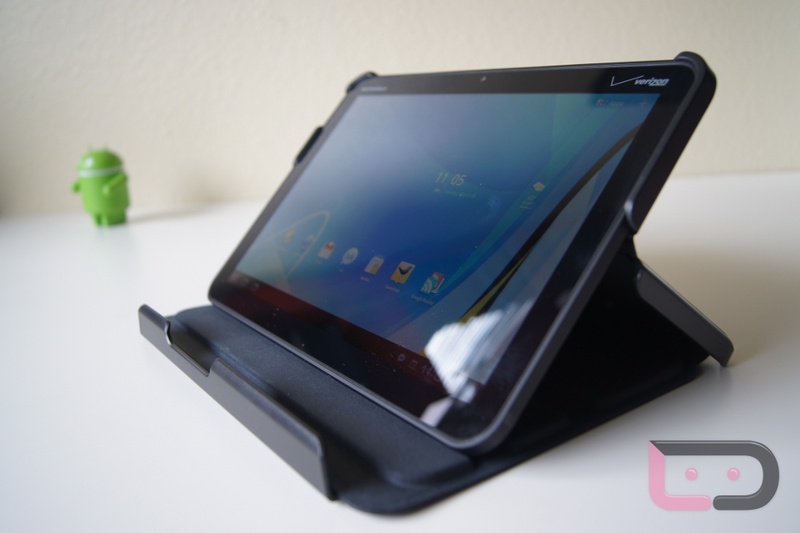 Seriously, there is no way to charge your new tablet unless you completely unfold it from its protection. I’ve also heard from some owners that the case itself is a little rough on their XOOMs when removing it or unhooking to set at an angle. I haven’t had any issues with the plastic leaving marks or damaging mine, but I wouldn’t doubt that it could happen. You also cannot dock your device with this case on. At a price of $39.99, do I think you should buy one? Like I said in the opening, I really love this case. The price does seem a little steep, but the build quality on this thing is above almost any case I’ve used. It’s right up there with the Otterboxes and Seidios of the world. Ahh the cute little gel cases. They come in a variety of colors (pink, black, blue, purple and red), wrap tightly around your XOOM, and provide access to ALL ports. Yep, unlike the Portfolio case, the gel cases actually have an opening at the bottom which gives you access to HDMI, USB, or charging ports. You can also use this with the charging dock. Not a lot of negatives with this one, although the coating on the gel does have a tendency to attract dust, lint, etc. It also doesn’t provide screen protection, so you would need a screen protector if that is one of your worries. Other than that, it’s a standard gel case with a price tag that seems a little high. $29.99 for a piece of molded rubber? Might want to pass on this one, unless of course you love the pretty colors. Anyone had issues with either one? Portfolio case doing damage?